Valentine's Day 2019: From Amitabh Bachchan to Neha Dhupia to Rohit Sharma, celebs are celebrating the day of love. Valentine's Day 2019: Kartik Aaryan shared a hilarious Valentine's Day wish. Actress Neha Dhupia took Valentine's Day as an opportunity to talk about her "love affair"... with food. "Till death do us apart .... and my love affair with food continues," she posted on Instagram with a delightful photograph that shows her devouring donuts. Is it by accident that Children's Day on 14th November is exactly 9 months 3 days after Valentine's Day on 14th February !! His funny observation has collected over 4,000 'likes' and a ton of amused comments since being posted. Meanwhile, author Twinkle Khanna also shared a Valentine's Day post - but not for husband Akshay Kumar. Instead, her Instagram post celebrated the love that bookworms find between the pages of a good book. "Happy Valentine's Day to all the bookworms of the world!" she wrote. And if you thought, in between all these hilarious posts, that romance is dead - think again. Cricketer Rohit Sharma shared a slightly more 'conventional' Valentine's Day post with a photograph of his wife Ritika. 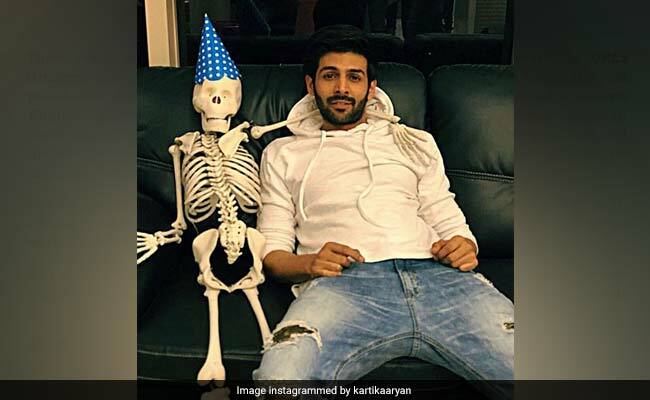 One of the funniest Valentine's Day posts, however, came from actor Kartik Aaryan - who made fun of the characters he has played in a lighthearted Insta post. 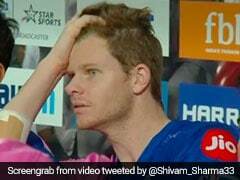 "#Sonu #Gogo #Rajjo play karne ke baad who else would go on a date with me?" he quipped, sharing a picture of a skeleton with its arm draped around him. How are you celebrating Valentine's Day? Let us know using the comments section below.